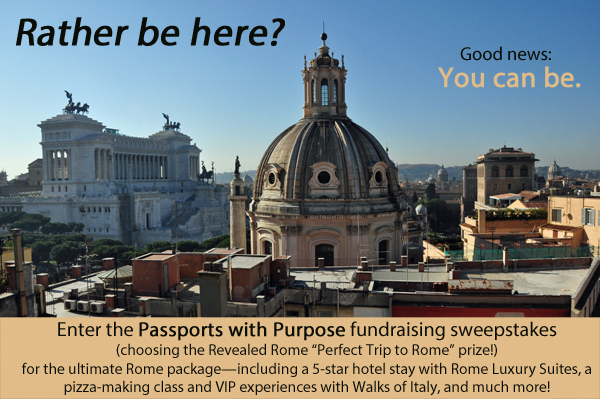 With Revealed Rome and Passports with Purpose, Enter to WIN the Perfect Rome Getaway! 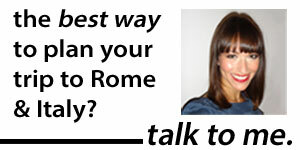 Want to win the perfect break to Rome—including a 5-star hotel stay, fantastic experiences, skip-the-line tickets to the Vatican, and a ton of travel advice, including an hour-long travel chat with yours truly? I’m participating in this year’s Passports with Purpose fundraiser. And that means that I’ve put together a fabulous prize package… that one lucky person will win! The best part? It’s for a good cause.